Accruent, established in 2000, is the creator of 360Facility, a web-based project management solution. Accruent serves 56,000 unique locations in over 23 countries. The company’s work order management solution helps facilities, from corporate to property management to residential, optimize profits, increase customer satisfaction, and improve team communication and operational efficiency. Accruent’s 360Facility project management solution helps facilities improve their performance, monitor the progress of tasks and make informed decisions. The software includes modules for tracking assets, managing preventative maintenance schedules, and collecting inspection data for use in creating action items. With the work order management software’s knowledge management module, facilities can create procedures and guidelines and assign tasks to the appropriate employees. The visitor registration module allows employees to request visitor access with the use of an easy-to-use interface. Accruent’s work management solution also includes tools to centralize information and track documents, update project information, and automatically match invoices to accounts payable. This solution comes on a dashboard with big picture view, filtering options and drill-down capabilities. By implementing 360Facility, US Equities Realty was able to increase preventive maintenance activity, which decreased the need for outside contractors and helped to reduce the cost of repairs and maintenance by 25 percent. Jones Lang LaSalle’s implementation of 360Facility significantly improved tenant satisfaction. The software’s reporting capability lets Jones Lang LaSalle’s quickly isolate any problem areas in need of preventative maintenance, allowing them to be more responsive to tenant requests. 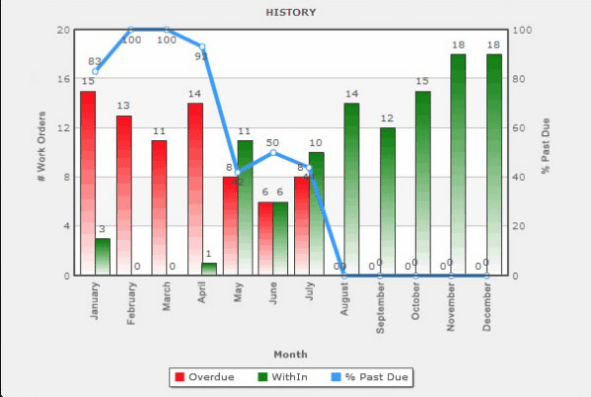 Tracking modules for maintenance and work load have also led to improved team communication and productivity. Learn everything you need to know about Accruent 360Facility. Our experts will reach out to you shortly.